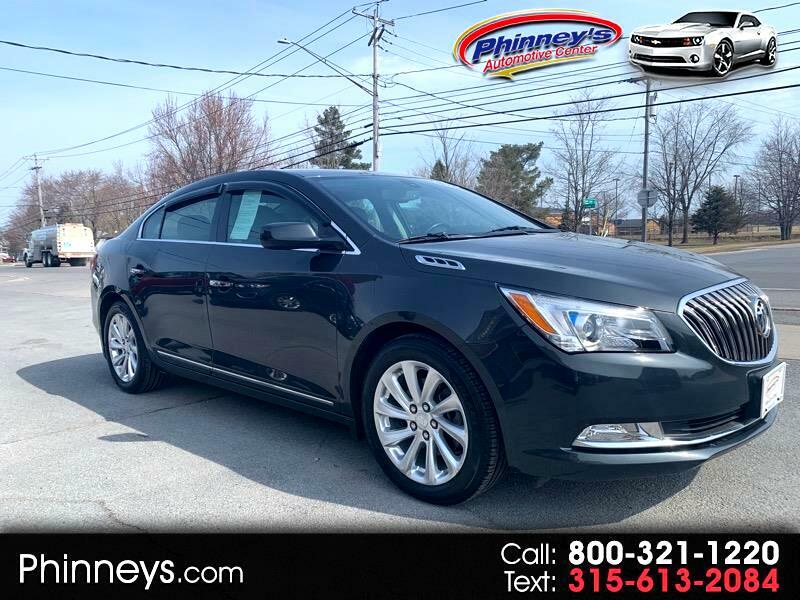 Sculpted in Midnight Amethyst Metallic, our 2016 Buick LaCrosse 1SV is an ideal blend of style, comfort and performance. It's powered by a 3.6 Liter V6 that generates 304hp on demand. Coupled with a flowing aerodynamic design, innovative suspension, and 6 Speed Automatic, our Front Wheel Drive sedan delivers perfect acceleration in any environment. Our LaCrosse 1SV has crisp beauty enhanced by a distinct chrome grille, dual exhaust, and daytime running lamps. An elegant yet functional layout greets you in the content-rich cabin, featuring amenities such as a tilt-and-telescoping steering wheel, an auto-dimming mirror and split-folding rear seatbacks. You'll enjoy world-class comfort with an 8-way power driver seat and dual-zone climate control while the 8-inch-diagonal full-color screen with drag-and-swipe gestures makes it easy to use the car's technology. Bluetooth phone and audio connectivity, available WiFi, an impressive sound system with a CD player, available satellite radio, an auxiliary audio jack, iPod/USB interface and smartphone app integration keep you connected and content. Safety is also paramount, emphasized by ABS, OnStar, and numerous airbags. Travel is first-class each time you enter LaCrosse. Move about town in the style and sophistication that only Buick can bring to your life. Don't delay... Print this page and call us Now... We Know You Will Enjoy Your Test Drive Towards Ownership! Message: Thought you might be interested in this 2015 Buick LaCrosse.